Clinical studies on postmenopausal women have shown that ipriflavone, a naturally occurring isoflavone, helps maintain bone mineral density when combined with calcium. 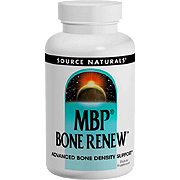 Bone Renew combines clinical amounts of Ostivone brand ipriflavone with three highly absorbable forms of calcium. Bone Renew can help support and maintain a healthy skeletal system, especially during the menopausal years, when bone loss increases. Two Bone Renew tablets twice daily, with breakfast and dinner. Taking calcium supplements with dinner offers added protection until breakfast. Warning: If you are pregnant or breastfeeding, consult your health care professional before using Bone Renew product. Calcium (as calcium citrate, ethanolamine phosphate & malate) 800 mg, Ipriflavone (Ostivone) 600 mg. Bone Renew is shipped in a discrete, unmarked package. Orders are processed immediately and usually take about 3 to 5 working days to be received. We do ask that you try it for 2 to 3 weeks to feel the full effects. Any information received is used only for order processing and shipping purposes. Your information, such as e-mail address, will never be disclosed to a third party.